Artificial intelligence (AI) and machine learning are contributing to great technological leaps within the finance industry by helping to automate processes, reduce operational costs, and enhance security. Of course, these are all good things. And Tony Hughes, Managing Director of Economic Research at Moody’s Analytics agrees. But, he also points out that industry players should understand that AI is not the solution for all of the finance industry’s challenges. To dive deeper into this conversation and learn more about AI’s uses (and drawbacks) in the financial industry, we recently spoke with Hughes. The Ph.D. econometrics expert has been deeply involved in a wide range of topics at Moody’s over the past 15 years, including researching financial risk modeling, asset price forecasting, and general macroeconomic analysis. Moody’s Analytics is the sister company of Moody’s Investors Service — one of the Big Three credit rating agencies — and conducts economic research on these types of cutting-edge issues in the finance world. Hughes recently published an article for the Global Association of Risk Professionals entitled “The Limits of AI in Banking.” We used this article as a jumping off point to further explore risk assessment, how AI fits into modern banking, and why AI might not be the answer to every challenge in the finance industry. 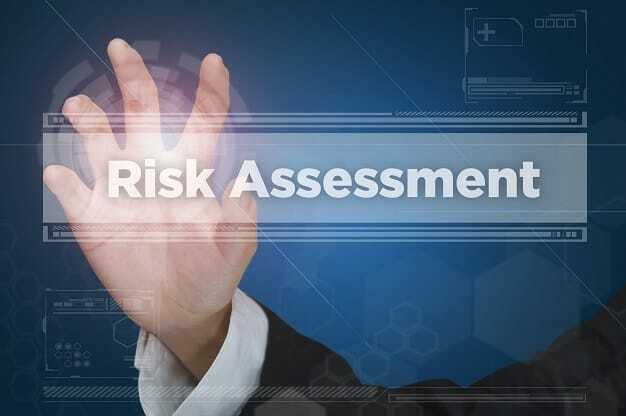 Risk assessment — generally speaking, the process of determining the likelihood of incurring a loss from a loan or investment — is a crucial component for the financial industry. Banks use consumer credit scores, income, collateral, and other metrics to determine whether a person is a good candidate for a loan. If the risk is too high that the bank won’t be repaid, the institution will deny the loan. Risk assessment techniques are evolving with advances in AI technology. Similarly, when individuals or institutions are considering stocks or other long-term investments, weighing the potential risk versus the potential return is crucial in the decision-making process. 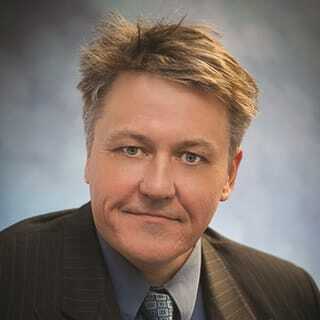 Hughes said the FICO score is a key component for banks to assess the risk of a potential borrower. He said the process of determining a FICO isn’t too far off from what is considered AI today. “In a sense, it’s quite hard to delineate between some of the new methods and the old stuff because I think you can make a pretty good argument that big data machine learning tools have been around for a long time,” he said. He said that to determine a FICO score, a huge amount of data is collected from credit files to determine factors including length of credit history, payment history, credit versus debt, and other considerations. The data is statistically analyzed to produce a result based on an established algorithm. Hughes said AI and machine learning certainly have a place in the financial industry, partly for the reasons mentioned above, including cost savings, giving users a better experience, and improved security. But, he said, this technology isn’t necessarily as shiny and new as some might think. AI and machine learning can help reduce costs and enhance the user experience in the financial industry. He said, the truth is, some of the techniques have been in practice, but other factors play a role in where it stands today. Considerations like increased computing power, cloud technology, and evolving methodologies have made the applications of the technology cheaper and allowed it to grow significantly over the last few years. Hughes said in the past, the statistical analysis techniques applied relied heavily on an interpretive structural model. But, with today’s techniques that process large amounts of data extremely efficiently, the structural model is given lower priority. This can lead to cases where the desired result is produced, but there is less understanding of the rationale behind the result. “I think the challenge of humans in the world of AI will be to know when to trust the AI and when to switch the robot off,” Hughes said. He said there are cases in which AI is turning out to be very useful. He is currently working on a predictive application to determine a vehicle buyer’s likelihood of default based on the type of automobile he or she is purchasing. “The AI works very well in making those kinds of predictions,” he said. Part of the reason it works well, he said, is because the data model he used to train the program is taken from the recent post-recession years. He said it has been a fairly consistent period of human history with the economy steadily growing. But Hughes proposes that, if AI were expected to predict recessions and other economic pitfalls, it cannot perform nearly as well. Hughes said the answer is no — the AI is not strong enough to tap that lender on the shoulder. The types of predictive models that strive to solve that problem are called stress tests. “The point of the stress test model is to predict behavior during a banking system crisis,” Hughes wrote in his article. Hughes said there’s no such thing as a generic recession. Each one is different and caused by different factors. So, even if a predictive model learns from one recession, it won’t predict the next one because it will not be born out of the same circumstances. Hughes sums up his stance near the end of his article.